If you want your vehicle to keep running on the roads for a long time, you need to treat it right and maintain it regularly from a professional auto repair shop you can trust. If you are based in Davie, Florida and looking for some experienced and expert auto repair services in the area, then Tropical Performance is here to help! Motor oil is necessary to help run your engine smoothly and prolong the life of your vehicle. It offers lubrication to the engine. With time, it breaks down and wears out, ultimately decreases the engine’s efficiency and makes it less effective in transferring heat and moving swiftly. When there comes a time for an oil change, contact us! Tropical Performance performs all oil change services reliably and efficiently making sure all your needs get covered in Davie, Florida. 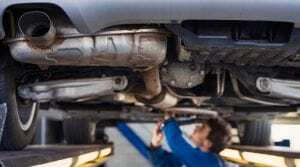 Every oil change service is performed by our experienced technicians including conventional to high-mileage, synthetic blend, and fully synthetic oil change services promptly and efficiently. If you need help in choosing the right oil for your vehicle, we can help you! Want to get conventional oil for your vehicle? Don’t worry! Many customers prefer traditional oil as it offers protection against deposit buildup, viscosity breakdown, and wear and tear shield. Additionally, it is cost-effective and a good choice if your vehicle is not subjected to extreme driving conditions such as long drive, extreme weather conditions, etc. Synthetic oil is specifically tailored to prolong your engine life, offers protection, performs better at all temperatures especially in severe driving conditions. It helps in engine protection and performance. More and more vehicle manufacturers are using it today to achieve high engine performance. We are a locally owned and operated auto repair shop in Florida. We understand that your vehicle is one of your most important assets and you always want it to be in a good healthy condition. We are well-versed to check which oil would fit best for your vehicle needs and increases its mileage. Our ASE-certified, highly-skilled, and experienced technicians use the latest tools and technology to perform your vehicle’s repairs and maintenance promptly at competitive rates.